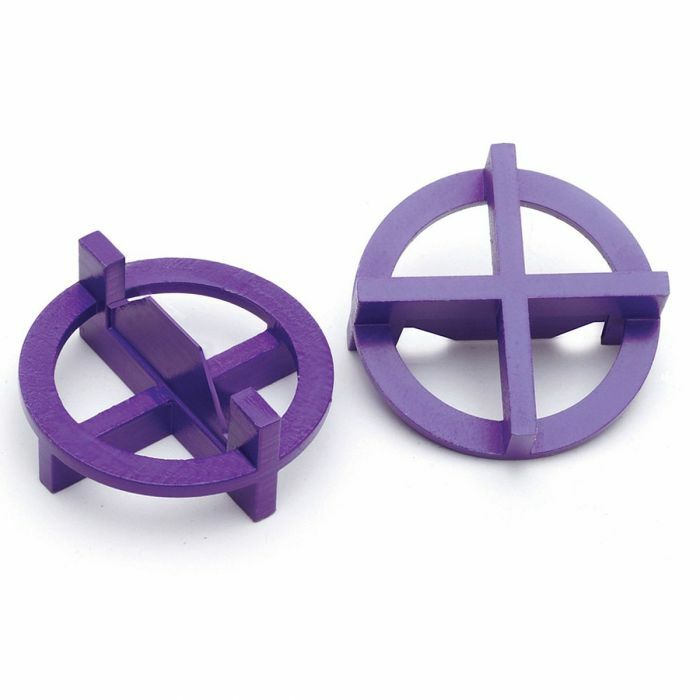 These popular 3/32" two-sided spacers can be used at both the intersection of four tiles and anywhere between two tiles for perfect grout lines! The TAVY Two-Sided Tile Spacer's "4-Corner View" design not only guarantees straight grout lines, but lets you see that all of the corners are lined up for perfect intersections. The versatile, two-sided construction allows for the use of both the cross side at four corner intersections and the straight edge side anywhere between two tiles. Another major advantage of TAVY spacers is the patented circular design which prevents bottoming out and makes removal quick and easy. Available in 7 Sizes Ranging from 1/32" to 3/8"